It’s Saturday afternoon, and I have just returned from singing Evensong at Rochester Cathedral. The first reading was the story of Laban’s deceitful behaviour towards Jacob. Laban made Jacob work for seven years in return for a promise of his daughter Rachel’s hand in marriage. But at the end of the seven years, Laban palmed Jacob off with his other daughter instead, then made him work for another seven years to claim the hand of the woman he loved. This story is horrible not just because of Laban’s underhand behaviour, nor even because Laban treated his daughters as his property, but because of the damage it did to Jacob’s family. The rivalry between Rachel and her sister set up deep divisions that led to attempted murder and the disintegration of their family. Ideally…people should live near their parents and also have some time availability to care for them. Instead, many have cast off their care to the state or to carers who may have themselves left their own families in another country to come and care for those that we won’t. State and private care services, damned in one paragraph. Giles rejoices at the idea that No Deal Brexit might, by shutting the doors to immigrant labour, force people to care for the elderly themselves. A South London GP friend told me a disturbing story last week. I paraphrase, but this is roughly it. A woman in her fifties called up the surgery. Her elderly and confused father had soiled himself and she wanted to know if the surgery could send someone round to clean him up. “Did you have children?” my friend asked her. She did. He went on: “When they were babies did you ever contact the state to see if it would come round to change their nappies?” She went quiet. Ouch, what a question. This made me see red. Fraser says he is “spitting blood” about what he calls the “arrogance and callousness” of the Evening Standard’s question “Who will look after our elderly post Brexit?” Well, I am spitting blood at the sheer arrogance and callousness of the GP’s response – and Fraser’s evident approval of it. The clear implication was that the woman should give up whatever else she was doing and dedicate herself to caring for her confused elderly father. But women (and men) in their fifties are usually working, often full-time. Many have dependent children. If they give up work to care for relatives, how will they live? How will they support their children? it is the daughter of that elderly gentleman who should be wiping his bottom. This sort of thing is not something to subcontract. Heaven knows how she will survive, if she can’t subcontract the care of her relative. Presumably, she will have to rely on her husband to support her – if she has one. I am spitting blood about this, too. Women have fought to be independent of men, to earn money in our own right, to have careers, to use our skills and intelligence to the full. Why should we give up what we have gained? Why must we give up our right to determine our own future? Why should we again become dependent on men? Why bring back the unequal, misogynistic society of the past? It is not so long since even in the UK, women were considered property, at the disposal of men, just as they were in Laban’s time. A middle-aged Anglican priest telling a woman it is her “duty” to care for her confused elderly father at the expense of her work, her income, her independence is not that far removed, is it? I could easily have been that woman. I discovered after my father’s death that in the weeks before his brain tumour was diagnosed, he had become doubly incontinent. He was managing it himself and concealing it from me. He didn’t want me to know. He was a proud and independent man who would have found it deeply humiliating for his daughter to have attended to his personal needs. Fraser makes no mention in his piece of how the elderly feel about the role reversal implicit in a child caring for a parent, and the way in which this distorts the fundamental relationship between the two. Yet on Twitter, hundreds of people who have been in this situation have commented on how hurtful it is, and how much healthier using professional carers is for the relationship. Anyway, had my father soiled himself while I was with him, there would have been little I could do on my own. I would have had to call paramedics. My father was six foot tall and weighed 14 stone. I could not even have lifted him to clean him up. In the nursing home where he lived for the last three months before his death, it took at least two people to deal with his personal needs. Cleaning up an incontinent elderly man is nothing like changing a baby. So where Fraser sees a lazy woman who can’t be bothered to clean up her father, I see a desperate woman calling for help. Where Fraser sees a reasonable response from the GP, I see a callous slapdown. Instead of Jesus’s compassion for a woman struggling under an intolerable burden, I see Pharisaical judgment of her for falling short of impossible standards. Where is your compassion, Giles? Where is your Christianity? They share. And do this through support of wider family. My piece was about the whole family being carers. Certainly not just women. Like hell they will. The evidence from around the world, throughout history, is that extended families don’t support elderly relatives or their carers. Both the cared-for and the carer end up impoverished. 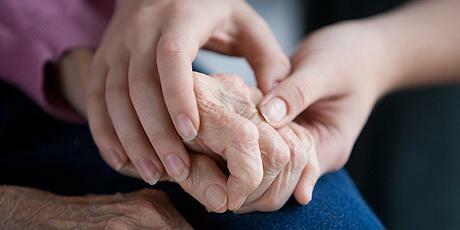 In some cases, the elderly person is abused, neglected or abandoned. Nor does relying on families to care for relatives reinforce social and community bonds, as Fraser imagines. Both the cared-for and the carer often feel socially isolated. Depression is common among unpaid family carers. Young carers, of whom there are many, can also find it difficult to continue in education, with devastating consequences for their future. Wrecking state and professional care services by slamming the door shut on immigration can only make matters worse for families with caring responsibilities. Our social safety net is a combination of state and private care services that provide essential support to families and in some cases replace them as carers. Imperfect though it is, it compensates for the fact that some families cannot or will not care for their elderly themselves. Because of it, elderly people here are less likely to be abused or neglected than they are in countries where there is no safety net. But in the last ten years we have done our level best to shred this social safety net. Why is Fraser blaming “family disintegration” for the parlous state of our safety net? Why does he want to impoverish people, especially women, and put elderly people at risk, instead of restoring the safety net? Underlying this piece is a thoroughly nasty, divisive message. “Remain is all about ever new opportunities for the rich,” says Giles. “Brexit seeks a reclamation of something we have lost. The ability to stay put and care for each other.” Fraser’s argument is essentially that Remainers are only interested in becoming rich, and will sacrifice family and community to do so. Brexiters, in contrast, will care for family at the expense of riches. No, Giles. Staying put and caring for each other is a luxury of the rich. Only those who have money can stop work. Only those with wealth can choose to live where they grew up. If Brexiters can afford to stay put and care for each other, it is because they are rich. For the rest of us, it is not an option. The scattering of families is not a Remainer “golden cow”. Brexiters are just as likely as Remainers to have moved away from where they grew up. My three brothers live hundreds of miles not only from where they grew up, but also from the place where my parents lived in their retirement. I live closest to my place of origin and also to my parents’ home. I was my father’s carer in the last two years of his life: my brothers seldom visited. Yet I voted Remain, while all three of my brothers voted Leave, and one of them campaigned for it. I am spitting blood about Fraser’s notion that Remainers don’t care about family. I have cared more for my family than any of my Brexiter relatives. Freedom of movement has given many of us better lives than we might otherwise have. But we have paid a heavy price for that. In this respect, Fraser is right. In 1988, I left the place where I grew up. I will never be able to return. Nor is there any reason to do so, since the rest of my family are also gone. My brothers moved even further away than I did. And when my parents retired, they too moved away – as do many elderly people. Fraser says “social mobility is very much a young person’s value.” But attenuation of family relationships is not entirely due to the desire of young people to look for work in many places. What of the elderly British who have retired to rural areas, to the seaside and to the Mediterranean sun, leaving their families far behind? Is this not “social mobility”? And how are their distant families supposed to care for them? It took many years, and a natural disaster, for Jacob’s family to recover from the disintegration caused by the hatred sown between Joseph and his brothers. Similarly, it will take many years for Britain to recover from the disintegration caused by the hatred that Fraser and others are sowing. The lack of compassion so evident in Fraser’s piece is becoming pervasive. We are all affected by the atomisation of society and the shredding of our social safety nets. Remainers do not rejoice over this, any more than Brexiters do. Most of us desperately want to fix it. We just don’t agree that slamming shut the doors to the world, and undoing all the progress that has been made on the rights of women and the support of the elderly, is the way to do it. In the words of the murdered Remainer MP Jo Cox, we have “far more in common” with Brexiters than that which divides us.